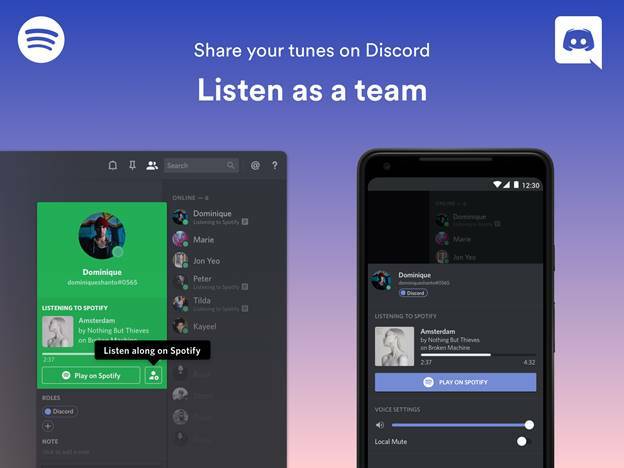 Spotify and Discord have announced today that you’ll be able to share your gaming soundtracks with your team, as you take down terrorists in Rainbow Six: Siege or attempt to beat each other in a game of PES. Whatever is your game of choice, you can now connect your Spotify account to Discord, allowing you and your team to listen to your playlists. Open ‘settings’ within Discord, navigate to ‘connections’ and connect Spotify. Premium members of the music streaming service can seamlessly listen along with friends in Discord, while chatting and gaming. Users can also highlight and share songs over Discord. Things sure have moved on from when I was a kid, having to hear my sister’s reggae tapes blaring from her room as I played Super Mario Bros. 3 on NES. The integration is available from today for most markets where Spotify and Discord are both available.